A former aide to Roger Stone, a longtime ally of President Donald Trump, has been held in contempt for refusing to testify before a grand jury convened by special counsel Robert Mueller in the probe of Russian influence in the 2016 election. Chief U.S. District Judge Beryl Howell of Washington, D.C., held Andrew Miller in contempt on Friday, the Washington Post reports. Howell had ruled earlier this month that Miller must testify in an opinion that rejected a challenge to Mueller’s authority, according to prior coverage by Politico and Law.com. Howell ruled after holding a sealed hearing on the issue. Miller’s lawyer, Paul Kamenar, told the Post that they had sought a contempt order so they could appeal the judge’s decision. 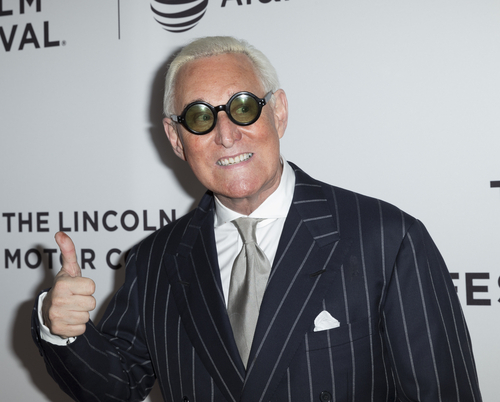 Stone has previously acknowledged he communicated with a Twitter persona known as Guccifer 2.0, but has said the interactions were limited and entirely benign. A special counsel indictment has said Russian military intelligence officers who hacked into Democratic organizations released the documents through the fictitious Guccifer persona, as well as other online handles. Miller had worked for Stone during the presidential campaign and is among several associates called to testify, according to the Post. Others include Stone’s driver, his social media consultant and his friend Kristin Davis, the woman known as the “Manhattan Madam” because she ran a high-priced prostitution ring. Davis was set to testify Friday afternoon, NBC reported. Davis did graphics work and office tasks for Stone’s political consultancy, but told NBC she didn’t know much about the presidential campaign because she was in prison until May 2016 on a drug charge.